The 1931 version of Mary Shelley’s Frankenstein is a masterpiece. Despite the fact it was quite obviously filmed in a studio, the atmosphere of imminent doom is captured perfectly. Whilst it isn’t surprising that filmmakers have wanted to ‘update’ the 1931 film, what the re-makes make up for in realistic set-design they lose in finding the right tone to present the film. 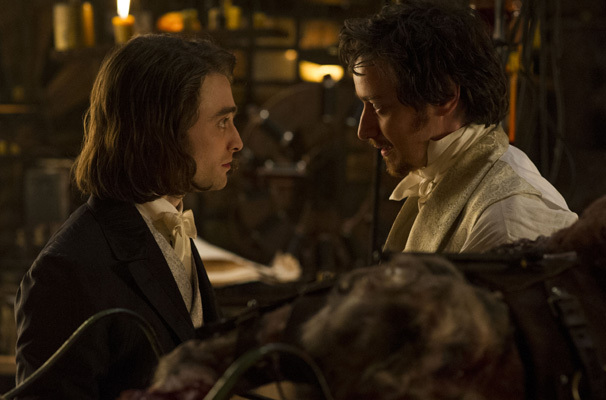 stars Daniel Radcliffe and James McAvoy. The story is told by Igor (Frankenstein’s assistant) – ultimately, this style of narrative focuses on Frankenstein as a doctor rather than the traditional story we know and love, the creation of the monster.